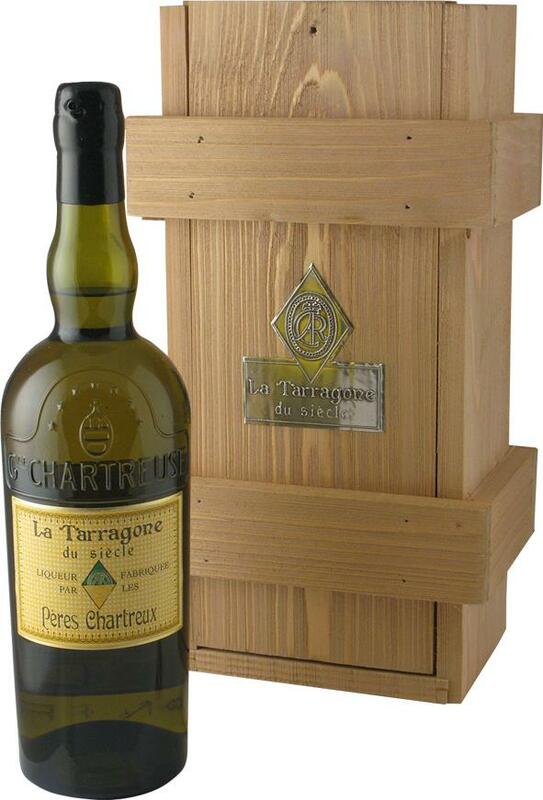 Chartreuse, Tarragone, du Siecle This is a limited edition of 512 bottles, fruit of the assembly of several vintages of Yellow Chartreuse de Tarragona (1906, 1910, 1920, 1930, 1948, 1951, 1961, 1967, 1973 and 1980). The wine was made by the Carthusian monks in collaboration with Olivier Poussier, World's Best Sommelier 2000. Although we find all the decades of the last century, the proportion of each vintage is not known but significant 37.7 ° Alcohol by volume. Presentation In its wooden case, the wine has a special label declined on the model of the past chartreuse produced in Spain. It is accompanied by a booklet that reviews the history of the latter presents the approach that led to this wine and old liquors used in its composition. Indeed each of the old vintages sees it decorated for Olivier Poussier tasting notes. Finally, not having had the chance to taste this wine, let us look at the tasting notes of Philippe Bossetti cellars: CHARTREUSE YELLOW "Tarragona CENTURY" ** (July 2009) "Shimmering golden yellow color; rather fresh nose, exotic woody complex advanced fine, honey, fine spices, blond tobacco, sweetness and soft touch."